Functional and alternative medicine can be extremely helpful for a wide array of symptoms and ailments, including depression, fatigue, brain fog, bloating, constipation, abdominal pain, weight gain, joint pain, autoimmunity and thyroid health. There are a few important contextual points to bear in mind also. The scientific documentation supporting the effectiveness of natural therapies is incontrovertible in many areas of healthcare, especially but not limited to, digestive maladies. Alternative medicine is not a panacea and it’s important for even the most ardent supporters of natural medicine to realize that conventional medicine has a time and place. Overzealousness in alternative medicine has lead to unnecessarily complicated recommendations, including overly restrictive diets, excessive supplement programs and expensive testing which can be debilitating. Functional medicine can lead to miraculous improvements in one’s health. I advocate for a progressive but cautious model that will provide you helpful recommendations for improving your health while also remaining sensitive to cost and practicality. If you are searching for a reasonable voice, that is not ‘anti-medicine’, will not make you afraid of food, feel dependent upon supplements or subject you to expensive and unnecessary testing, I invite you to explore the information on this site. Dr. Ruscio fell ill during his twenties. He eventually found the cause of his problem was being driven by a gut infection. However, he wasted much time and money treating symptoms with natural therapies. Dr. Ruscio’s hope, in his teaching is to prevent other patients and clinicians from making this same mistake. 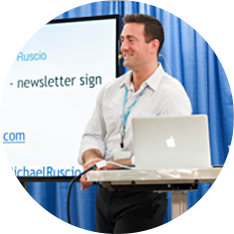 Dr. Ruscio has a diverse training background. His undergraduate studies were in exercise science and pre-med. Dr. Ruscio later decided to depart from his plans of conventional medicine after he was unable to find relief in this system. He decided to pursue alternative medicine because of his positive personal experience with it. However, during his training in alternative medicine he became concerned at the level of dogma and lack of scientific rigor in parts of this field. 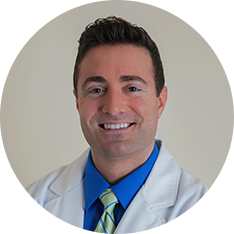 Dr. Ruscio now works to provide what he feels to be an optimal balance of progressive, natural-medicine-focused solutions, applied within a conservative, practical and evidence-based model. I love your podcast and have learned so much! Thank you soooo much for this gift to humanity! There’s one thing I’ve never heard you address (maybe I missed it?). You recently did a podcast on sleep…something I don’t do much of. I know a big factor for me is imbalanced hormones. Here’s my problem: I am 56 and used bio-identical HRT for nearly 5 years. I stopped this year, knowing that about 5 years is the most you’re supposed to take HRT. My Functional Medicine doctor agreed with me on this. Well, now I can’t sleep. I throw the covers off/on all night long. She suggested a try this very expensive supplement that made ZERO difference for me. I’ve tried AdrenalCalm and that didn’t help either. The only thing that helps me is an OTC chewable sleep aid; but I worry about taking it continually. What should someone whose reached the 5 year max on HRT do to get a good night’s sleep? BTW, I was tested about 18 months ago for a parasite and had a little known one called Chilomastix mesnili trophs. I did two rounds of oregano oil for it but never re-tested after that. Hey, Dr. Ruscio! I am a fan of Underground Wellness and heard of you for the first time in your talk about IBS, Autoimmunity, and Low Vitamin D. You’re well informed and I appreciate what you do as a Functional Medical Practitioner! In the intro to the podcast, you talked to Sean Croxton about how you suffered from an amoeba in your intestines and I was wondering how exactly you combated the infestation? I work at a health store and I have a passion for natural health and I thoroughly enjoy researching, reading literature and listening to podcasts. I one day hope to be a functional medical practitioner myself! I try to help out the customers at the health shop by leading them to information and I have a customer who has had an amoeba for over 20 years. I was just trying to find out what exactly he could do to be rid of it permanently. He has assumed he will have it for life and has been essentially keeping it at bay. Thank you for time sir! Great questions and I hope you become a practitioner! I can’t really do this question justice in a comments forum but if you search around on my website you can find more regarding treatment specifics. Hope this helps! What gut infection did you have? There isn’t enough information provided by you to determine the cause of your infection. Please visit your local physician or set an appointment to meet with Dr. Ruscio for a thorough health assessment. Hi Dr Ruscio-I recently heard your interview on The Chalene Show and so grateful I did. I was wondering if you have done any research/any info you can direct me to regarding Lynch Syndrome? I have had genetic testing and carry a gene for Lynch syndrome with a very serious family history of colorectal cancer. I stay on top of my screenings but want to be as proactive as possible in regards to my diet (and supplements/detox etc) as possible, not just for myself but for my kids so that they’ll develop a healthy lifestyle from a very young age. Very interested to better understand the brain gut connection in regards to Lynch syndrome. Glad you enjoyed the show. Lynch Syndrome is not something I have researched so I can’t offer much here. That being said it likely that the foundational gut health practices would only stand to help. I know that is broad but I hope it helps! Glad you like the podcast. This is way to broad for me to be able to provide you anything useful. If you need help feel free to contact my practice. Hi, my name is Christine. I have been diagnosed with severe graves disease thyroid toxicoses. They know my issue is with my autoimmune but will do nothing to fix this issue. I have had other organ and gland issues previous to this condition that led to this problem, though I have been told is no correlation. I do not believe that they are not connected. I have had many thyroid storms since delivering my daughter in 2015. I had a miscarriage with my second pregnancy, my daughter in 2016. I have been put on the meds and taken off due to severe reactions. I have been told to take radioiodine until I finally found and endocrinologist to say taking it would not be helpful to me considering my health reactions and the fact I am hoping for another child within the next year. They suggest surgery immediately but I am not for turning one disease into another especially one that is not any better. I am seeing a natural doctor here in SD who is doing wonderfully to keep me afloat and out of the hospital. But being on the iodine supplements still does not seem to react as well as it should with my body. What are the fees associated with your consultations and would you be willing to talk to my Alt Med Doctor here to collaborate with him. I have been seeing Dr. Cory Carter and Tom who has seen me as well who is practicing in his office. I really would like to get my thyroid in a healthy state and not by means of turning from hyper to hypo. That’s like saying okay you have a heart attack let’s turn it into your heart not beating at all or not being being in your chest at all to me. Does not make sense. Thank You in advance for any information and for all that you are doing to research and help in a more holistic nature. Sorry to hear of your situation. I would contact my office. All the info can be found here, http://www.drruscio.com/gethelp. Hi, What is the best natural antiviral protocol to use when dealing with several major viruses which include EBV. Have read coconut oil, garlic and baking soda with water. What are your thoughts on those, and what are your recommendations please. There are many natural options, but I haven’t been impressed with them. I would optimize your gut health first. I’m wondering if it is possible to restore peristalsis movement in the colon with 15-20 years of daily senna use. I now have internal bleeding which I’m thinking is probably due to the senna use as I have a super clean diet. I just listened to your interview with Rachel Coomes and found it extremely helpful! Your thoughts on over-testing are very refreshing. I’m working with a naturopathic doctor now and feel like I’m experiencing that very thing. I have SIBO, inflammation, gut dysbiosis and a sluggish thyroid with some thyroid antibodies. Do you know of the NutrEval test by Genova Diagnostics? My doctor is asking me to take it but it’s very expensive, about $1K. I’d really appreciate a second opinion if this test is worth the high cost. Dr Ruscio, I wanted to take a minute to tell you how proud I am of you. From the day you told me what you goal was in life I never saw you waiver. I’ve followed you for years now as you’ve pursued you’d dreams. I love seeing what you do for people in helping them love a better, healthier life. Keep it up, and I’d love to catch up. Hey buddy! Nice to hear from you, and thank you! Ping me on Facebook and lets catch up! HI doctor, I was diagnosed with Sibo.. along with gas my symptom is acute pain in upper abdomen that I need very very heavy doses of pain killers through IV,. Is this symptom normal for Sibo? I have got other basic tests done and it’s normal. Do I need some specific test ? This is not a typical characteristic of SIBO, but it’s possible. Intense GI pain can also indicate infection or other medical issues, so I would check in with your local doc. If you get a clean bill there and are still in pain, consider the protocol in my book, specifically Step 3, level 2. Hi! Love your podcast and I’m currently reading your new book. Thank you for all you do. I’m wondering how I go about finding a reputable functional/integrative doctor near me (Nashville). Seems like everyone I find is only interested in ordering every test and selling me every supplement. I would love to find someone interested in my personal care 🙂 thanks! I have really been enjoying your podcast! It is so science/evidenced based, informative, and yet easy to understand! I recently was accepted into graduate school for Dietetics but have often wondered if this is the correct path to take. I would love to work alongside a functional medical practitioner in the future but I am wondering if there is much of a crossover between the two professions? I’ve purchased your book. I suspect SIBO. I have done SCD for a full year several years ago. Not much better. Basically stayed on it and added some things back. Right now I’m sicker than I’ve ever been. I do have ALL symptoms of SIBO. If I do elemental diet can I start with liquid? It seems your book says to try diet first which I’ve done… please help? I have read your book and listen to your podcast. Very helpful. 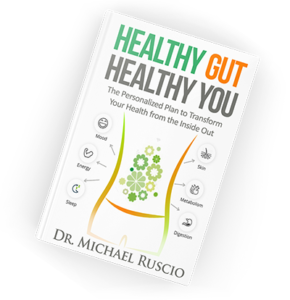 I like your overall strategy for optimal gut health not to try to treat for one thing only but try to optimize your overall gut health. I have been treated for chronic candida alibicans in various testing protocols. Although it has been awhile since I have had the stool test (it was very difficult for me to obtain a stool sample with the necessary consistency) I am pretty familiar with symptoms etc. I have tried stict diets which depress me etc. So my approach has been to reduce inflammatory foods, try to alkalize my diet as much as possible less lots of fruit) and take diflucan once every 4-5 days with a Biocidin (to treat biohume) and use Nystatin in between Diflucan. (with the goal of slowly reducing diflucan. The nystatin doesnt work as well. I was also dx with osteoporosis and have read the best diet for that is alkaline diet. My question: what is a safe urine ph that will keep optimal gut health and still kill gut bugs ( I have read too high of alkaline diet can make the gut too alkaline) and not acidic enough to kill gut bugs. Thank you Very much! love your podcast too!